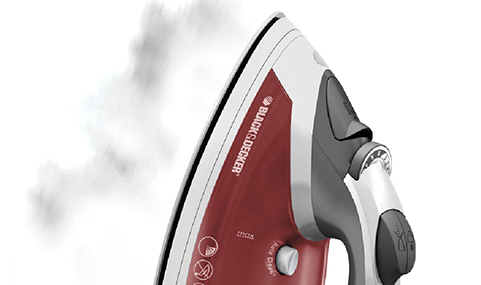 Blast away tough wrinkles with the BLACK+DECKER Stainless Steel Cord Reel Iron. Proprietary SmartSteam™ Technology automatically regulates and optimizes steam based on fabric setting to take the guesswork out of ironing. The retractable cord reel makes for fast and easy storage. Plus, the red casing adds a fun, distinctive look to this trusty iron. 11.6 x 5.5 x 4.7 In. Get the perfect setting every time. Select how much steam you'll need for each job, whether it’s flat on the ironing board or vertical on a hanger. The durable soleplate glides easily over all fabric types to smooth out wrinkles big and small. Find the perfect temperature for all fabric types with the guide printed on the top of the iron. The spring-loaded cord unreels and retracts quickly for easy use and storage. 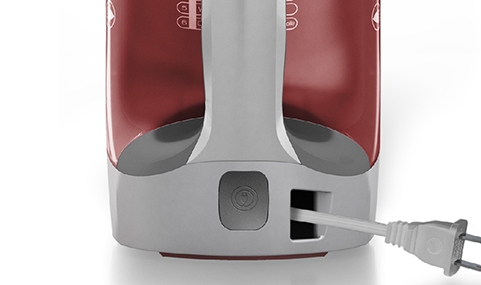 The push-button mister applies the right amount of moisture for quick ironing. 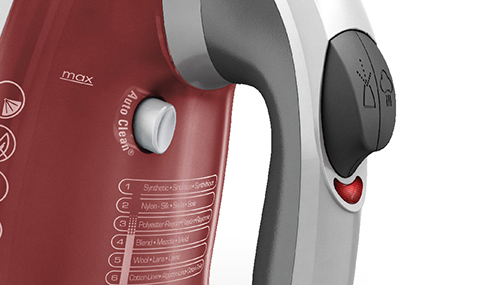 Blast away tough wrinkles with the steam surge, which works vertically for steaming curtains & clothes on the hanger. XPRESS™ Traditional Cord Reel Iron is rated 4.5 out of 5 by 23. Rated 5 out of 5 by Route 66 Stacy from So smooth My first review never went through. I Love this iron and how light weight it is. I do much sewing and this is handy for all the pressing and flattening of seams. It heats up very quickly and works like a champ on steam settings. Rated 5 out of 5 by MikeJA from Works great I like the design, it was comfortable even with my larger hands. User friendly and simple to understand how to maneuver. It's been sturdy and durable over a long period of time. I would definitely recommend. Rated 5 out of 5 by Mistys from Best Iron I've Ever Used! I love this thing! Has all the settings you would need for pretty much anything. It releases the perfect amount of steam to get rid of those stubborn wrinkles and the cord reel is a must have. Great product! Rated 1 out of 5 by queenbee757 from will not heat up after 3 uses. I bought this iron 2 months ago at my local BJ's. I have only use it 3 or 4 times. Today when I plug it It never heat up. The light is on but the plate is cold. I will not recommend this to anyone and probably will not buy a black and decker again. Rated 4 out of 5 by meme77 from Perfect for daily use no matter the task at hand Black and Decker - XPRESS™ Traditional Cord Reel Iron.My daughter and I both use this iron for not only ironing out wrinkles in our more delicate clothing but also for our crafting with fabric.Some of the features are it has a nice base with good weight so no worries about it tipping over. Plus it does have an auto shut offThe cord winds up into the base of the iron which is handy.Heats up well and fast. Can get as hot as you need it to be so be careful too.The steam is easy to control when you need it.No spitting with the steam.Makes it so easy to sew when you have a good iron to get the fabric wrinkle free and very crisp for those seams. 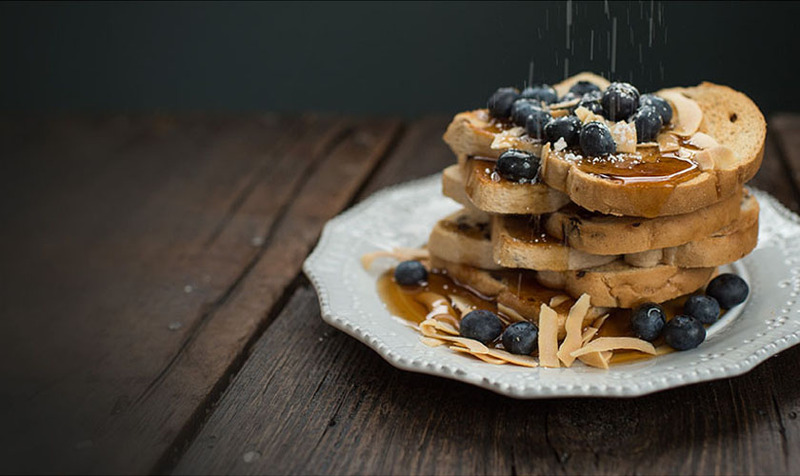 Rated 5 out of 5 by Kimis53 from Great iron and steamer!! Tried this product for just over 3 months now! I hate ironing but the steam feature has made me a iron lover! I hang my item up and steam it so effortlessly and quickly. No more wrinkled clothes and I look fabulous!! Rated 5 out of 5 by Happy big mama from Easy to use!!! I received this for free for my honest and unbiased review. Well let me tell you that I LOVE it!!! I'm from the generation of wrinkle-free clothes and so I never learned to iron. Well this iron is so easy to use that my cat probably could now do the ironing for me!!! I love how it has instructions and pictures on the unit itself showing you what each function is and that it has a retractable cord!!! what do they mean by 3 way auto cut off?